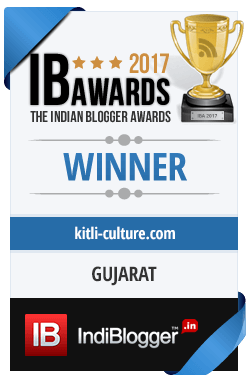 I am extremely happy to share that my Blog has won the Best Blog from my State – Gujarat at the recently announced Indian Blogger awards by Indiblogger. I would now like to be back here writing and sharing my stories with everyone again or at least try to. I thank everyone who came here and shared their experiences, views, and stories. I have been away for really long now. But I think it’s important to take a break and evaluate yourself, and your work with no comparison and scores of course. So what did I do all this time? I am not sure about it. Nothing much actually, nothing that I can boast of. But yeah, I did a lot of observing of things around me, people and much more. Meanwhile, I wanted to come back and write something, but I wasn’t sure what to start with. So here I am sharing few lines that I wrote some time back but didn’t post it. that grew in one corner of my garden. Green as ever, fresh forever. It went everywhere, anywhere it desired to. at times every direction was its own. things that lingered around, did no harm. what nourishes it, and what enriches it. Everything else was neither good nor bad! Wishing everyone a very Happy New Year!! Hoping an amazingly healthy and prosperous fun-filled year for everyone. “Personal Shopper” is spooky and enthralling! And very well deserved, too. How wonderful Polomi! Hearty Congratulations!